Tis the season for being basic pumpkin spice. Try as we might, it’s hard to kick that pumpkin spice craving when the air turns crisp and snuggly sweaters make their seasonal debut. But a PSL? Been there, done that… amiright? Want your fix without the excess sugar, calories and questionable chemicals that come with artificially flavored goodies? 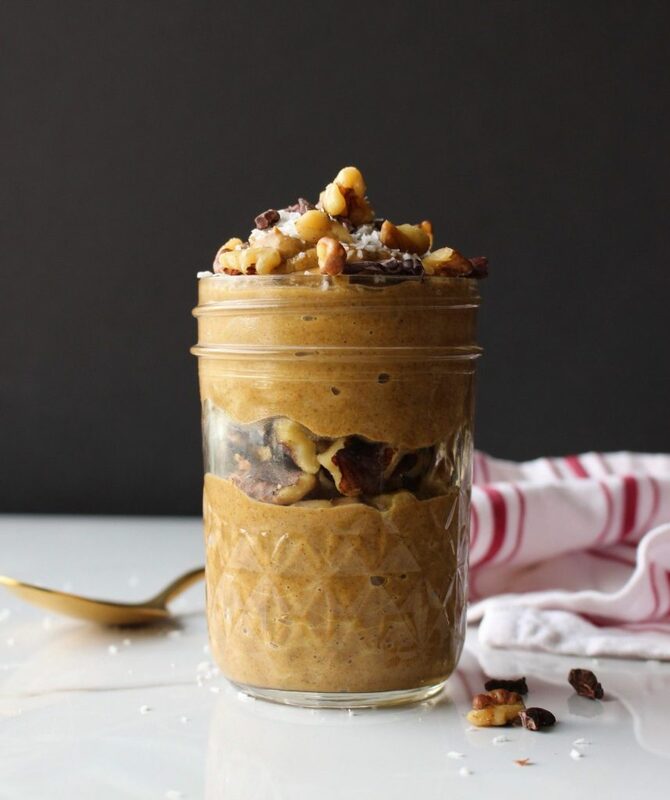 Cozy up beyond the cup and hack that PSL habit with these five healthy alternatives. Place all ingredients, chickpeas through sea salt, in the bowl of a food processor or blender. Blend until completely smooth. This may take a few minutes depending on your processor or blender. 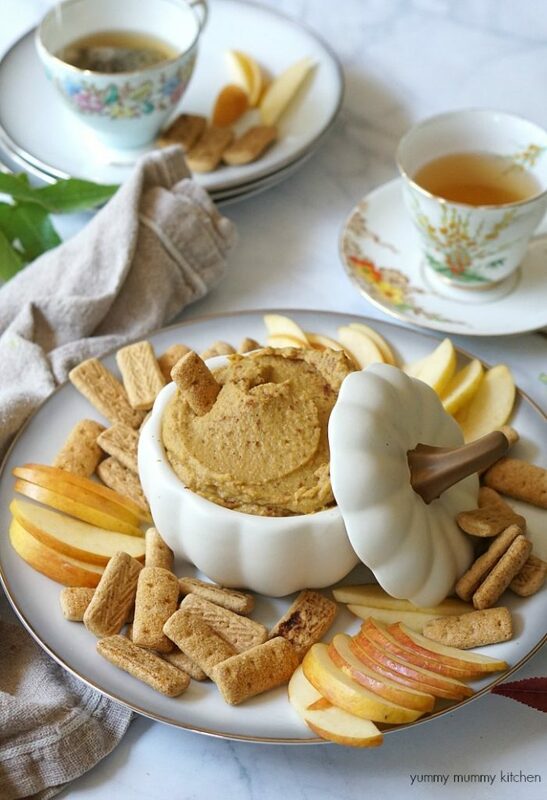 Transfer to a serving bowl and enjoy with dippers. Note: This dip can be made several hours in advance, covered, and stored in the refrigerator. 1. In a large mixing bowl, combine the oat flour, baking powder, salt, cinnamon, ginger, nutmeg and all spice or cloves. Whisk to combine. 2. In a medium mixing bowl, whisk the eggs. Then add the milk, coconut oil or butter, pumpkin purée, maple syrup and vanilla extract. Whisk until the mixture is thoroughly blended. 3. Pour the liquid mixture into the oat flour mixture. Stir with a big spoon until just combined (the batter will still be a little lumpy). Let the batter rest for 10 minutes so the oat flour has time to soak up some of the moisture. Plug in your waffle iron to preheat now. 4. Once 10 minutes is up, give the batter one more, gentle swirl with your spoon. The batter will be pretty thick, but don’t worry! Your waffles will turn out great. Pour batter onto the heated waffle iron, enough to cover the center and most of the central surface area, and close the lid. 5. Once the waffle is deeply golden and crisp, transfer it to a cooling rack or baking sheet. 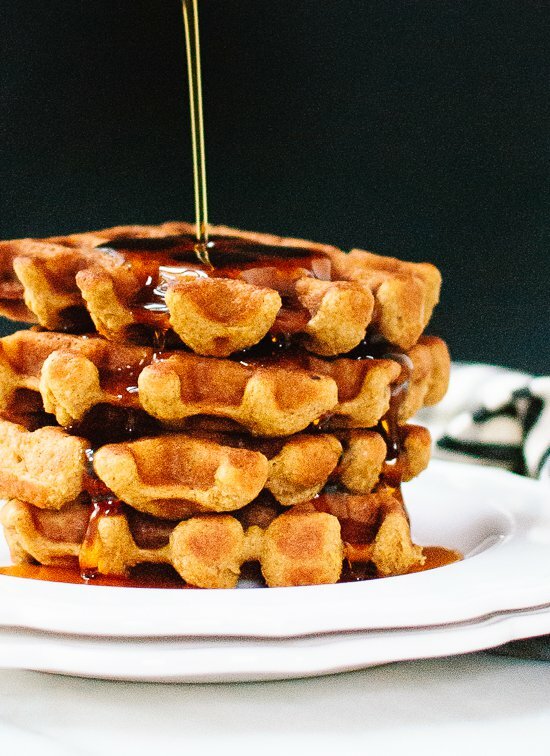 Don’t stack your waffles on top of each other or they’ll lose crispness. If desired, keep your waffles warm by placing them in a 200 degree oven until you’re ready to serve. Repeat with remaining batter and serve with desired toppings on the side. 1. In a large soup pot, melt the butter over medium-high heat. Add the onion and cook, stirring, for 5 minutes, or until translucent. Add the garlic, turmeric, ginger, curry powder, and parsley and cook, stirring, for 1 minute. 2. Add the pumpkin and stock, bring to a simmer, and cook for 30 minutes, or until the pumpkin has softened completely. 3. 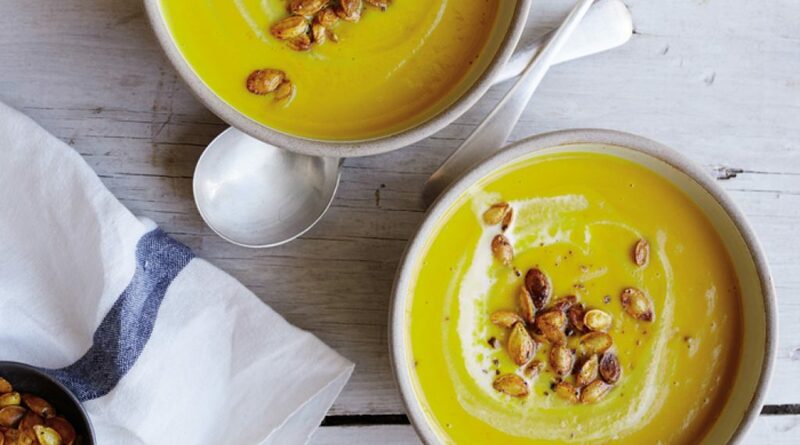 In batches, transfer the soup to a blender and process until smooth. Return the soup to the pot and add the lime juice, cream, and salt and pepper to taste. Stir to combine and cook until warmed through. Ladle into bowls and drizzle with a little cream to serve. 1. Combine all ingredients except the chia seeds. Stir well or blend until smooth and all ingredients are incorporated. 2. Mix in the chia seeds and stir well. 3. Place mixture in the refrigerator for at least 30 minutes or overnight to allow chia seeds to become gelatinous. 4. Top with nuts, seeds, coconut whipped cream or whatever your heart desires! 1. In a small saucepan, bring ½ cup water to a gentle boil. Remove the water from heat, add the tea bag, and let it steep for 4 minutes. Before removing the tea bag, squeeze any water remaining out by pressing the tea bag against the side of the pan with the back of a spoon. 3. Pour the mixture back into your pan and gently rewarm on the stove, then pour it into a mug. 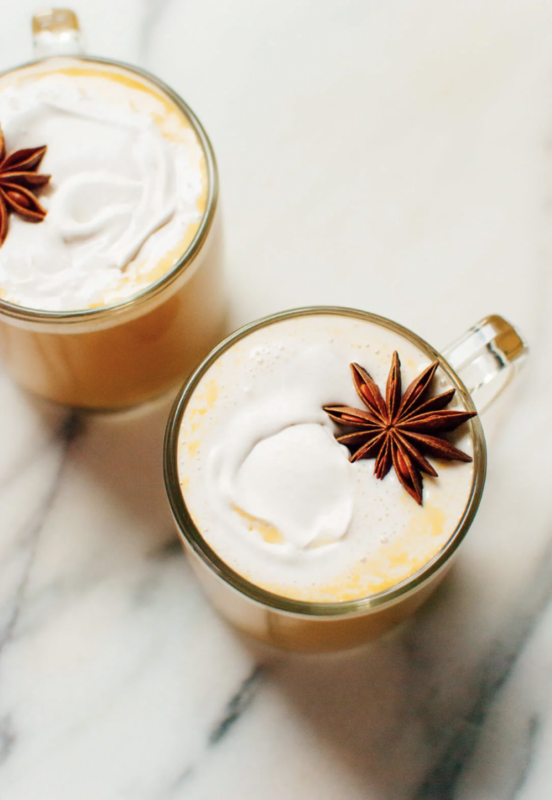 Top with totally optional whipped coconut cream and/or garnish with totally optional cinnamon stick or star of anise. 4. To make the coconut whipped cream: Pull out the chilled can of coconut milk and mixing bowl. Open the can of coconut milk and scoop the solid coconut cream into the chilled bowl (you can use the remaining coconut water in smoothies). Using an electric hand mixer, beat the cream until fluffy and smooth. Add the maple syrup, vanilla extract and cinnamon and gently blend again to combine. Use the coconut cream immediately or cover and store in the fridge for later (it will be soft at room temperature and more firm when cold).